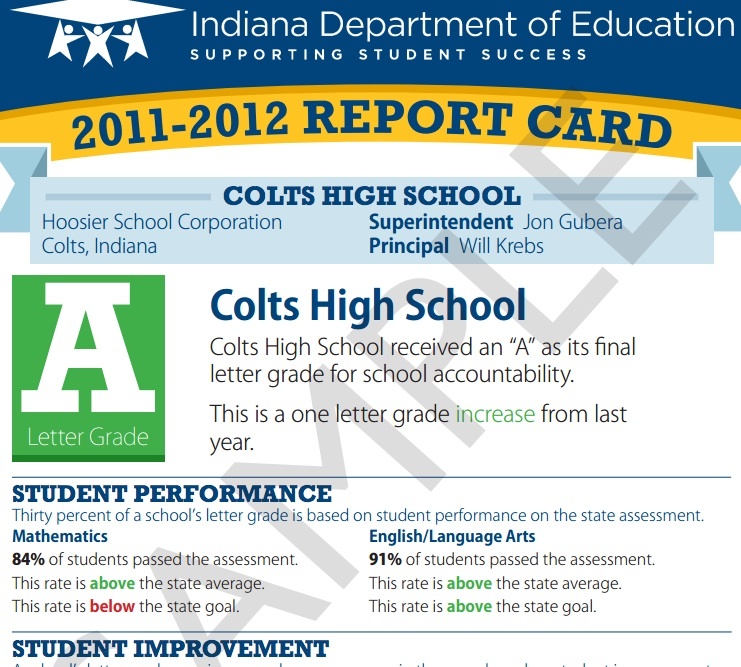 Though it’s received the most media attention in the controversy that led to ex-Indiana schools chief Tony Bennett’s resignation, Christel House Academy was not the only school to benefit from state officials’ changes to Indiana’s fledgling school grading system in 2012. After studying last year’s A-F rating data, a StateImpact analysis has identified 165 schools across the state — including Christel House — that saw higher final grades than they would have if Bennett’s staff hadn’t tweaked the formula roughly six weeks before releasing 2012’s results. 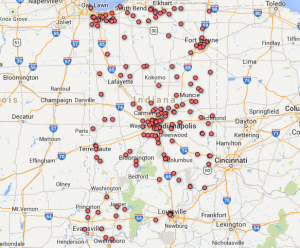 Take a look at this map and search this table to see if your school is one of those 165. Bennett’s staff does not directly mention the change in emails the Associated Press published this month. From those messages, it’s not apparent state officials made the change with Christel House alone in mind. The finding does, however, show how a relatively minor alteration to the A-F grading scale can have statewide implications. Former state superintendent Tony Bennett. But it’s unclear whether what the finding could mean for Bennett’s legacy in Indiana or for the future of the state’s system for issuing performance ratings to schools — a system now undergoing its second re-write in as many years. Does the finding support the case against Bennett, suggesting he manipulated the grading system to make these changes? Or does it bolster his defense, showing Bennett’s staff made a sincere effort to fix problems with the system that extend beyond Christel House’s grade? The emails the Associated Press published two weeks ago only half-answered the question of how state officials managed to bump Christel House’s grade from a C to an A.
C&P: Sure, Bennett ‘Blew It Big Time,’ But Should Indiana ‘Turn Back The Clock’? 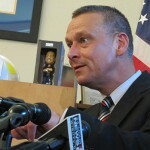 What’s The Lesson Of The Bennett Emails For States That Issue A-F Grades? Bennett Emails: Can You Trust Your School’s 2012 Letter Grade? Bennett Emails: A Look At How The Sausage Of Policy Is Made? As School Matters blogger Steve Hinnefeld writes, the “loophole” Bennett’s staff found in the grading rules that allowed them to exclude Christel House’s poor high school level data only accounts for the school’s jump from a C to a B. The change, it turned out, didn’t just impact Christel House. Dozens of other schools were impacted. 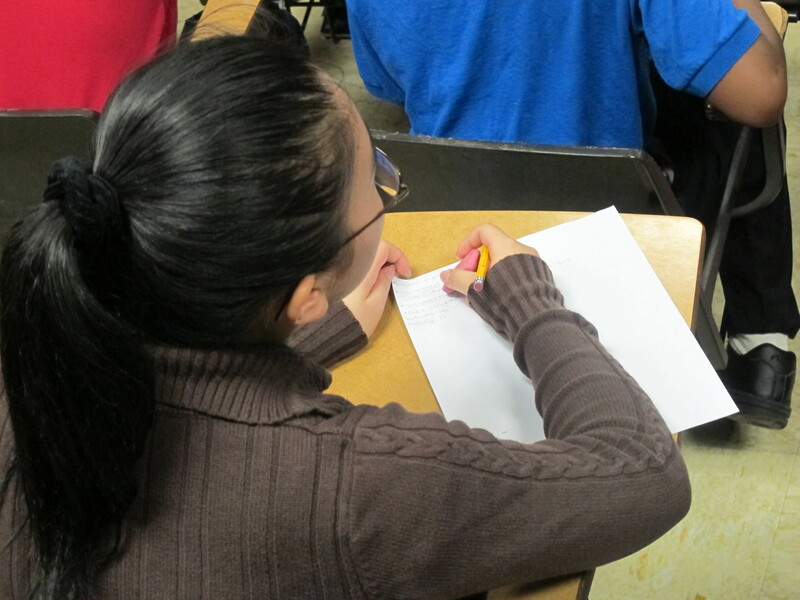 Those subscores — like the final grades themselves — were calculated on a four-point scale. But schools could earn up to six total points if they earned bonuses for the number of students who made academic growth. At least initially, though, state officials feared too many bonus points for one subject might cancel out a bad grade in another subject. They set up their calculations to limit schools’ ability to earn more than four points in any subject area, even with bonus points. In fact, the AP released an email dated September 13, 2012 showing a state education official factoring these limits into Christel House Academy’s grade. His initial run showed the school received a C, thanks in part to these bonus point limits. Just five days later, someone posted new directions for calculating grades on the DOE’s website. This new document loosened the guidelines for counting bonus points toward a school’s grade. Buoyed by surplus bonus points for either math or English — points they could use under the newly-changed guidelines — the grades for Christel House and 164 other schools increased. Do These 165 Schools Deserve These Higher Grades? Most of the schools’ grades increased from B’s to A’s after this change. A few others saw B’s when they would have received C’s if the grading system remained unchanged. No schools saw increases to C’s or D’s as a result, though. It’s probably better to do no harm with the grades and give people the benefit of a doubt and give schools the benefit a doubt. If you raise a few grades, that’s good, and if other schools didn’t benefit, then maybe they should’ve. But there is, I’m sure, from a quote-unquote reform perspective, an argument that maybe you are doing some harm with telling people they’re an A school when really they’re a B school. 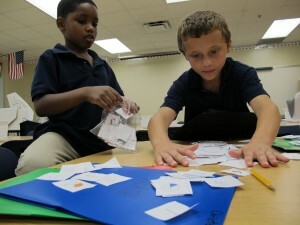 Second graders at Christel House Academy play a math game in 2011. So was Christel House an A school? Bennett did not return phone calls requesting comment for this story. But when he spoke to StateImpact earlier this month, he said he not only felt it deserved an A — he advocated for the school to receive a high grade. “Frankly, I made many comments where Christel House was an A school and I believe that any grading system you come up with should render that,” Bennett said. It’s important that policymakers be able to pretty nimbly change things if there’s problems, rather than digging their heels in under political pressure to appear tough or being locked into a system that doesn’t work. These systems clearly don’t have a lot of credibility if they label really good schools as being low performing. 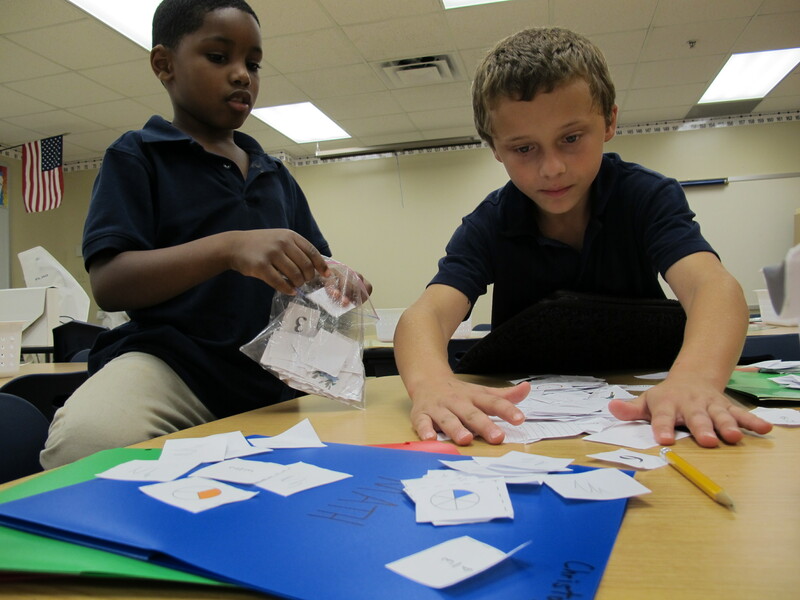 It just erodes the system… You don’t have anybody who thinks [Christel House Academy] was a C school. People think it’s a better school. The issue and where this gets complicated is based on the e-mails that have been released… it does appear that rather than just trying to fix that glitch, there was then an effort to say, ‘How do we get this to an A school?’ That’s more problematic. The whole process [of setting up the rating system] was a public-iterated process. We believe we had the concepts right but frankly there were some nuances to the system that we had to address. We did it, but I would argue that there wasn’t anything secretive about any of this… This is one of those things where obviously people will formulate their own opinions. I don’t think you or anyone else has ever accused us of being secretive or hiding from people or anything like that. But even those who support either the former Indiana schools chief or A-F grading say a lack of transparency was a problem. There could be a good reason for [the change in counting the bonus points.] You really want to focus on school growth — which is where the bonus points come from and allow the schools to get such high grades. By removing the cap, schools are getting their full bonus points for having high growth and it would encourage schools and educators in the future to shoot for that. You can make that explanation, but by not making publicly making that announcement, I think it undermines faith in accountability system and makes people question whether other changes were made that didn’t have as reasonable an explanation. 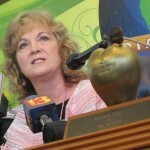 Leaders of the Indiana General Assembly and current schools chief Glenda Ritz have launched parallel investigations into the 2012 grades. While Ritz would only say last week her staff had found “manipulation” of those grades, she said the investigation would cause “great delays” in the release of this year’s A-F ratings. It was reasonable that there would be multiple iterations, simulations, projections and changes until there’s confidence in the system. A lot of public schools received better scores than initially projected. But the bottom line is this: With this revelation of information about apparent manipulation of the system to benefit a few schools, even though a large number of schools benefited over the horizon of the changes until the accountability system was finalized… the level of trust in the system certainly is in doubt. But Gov. Mike Pence and key lawmakers have also expressed their desire to continue A-F grading, though a forthcoming re-write of the rating system means state officials will give out future grades based on new metrics.